Enhance your sleeping experience with the soothing scent of lavender. 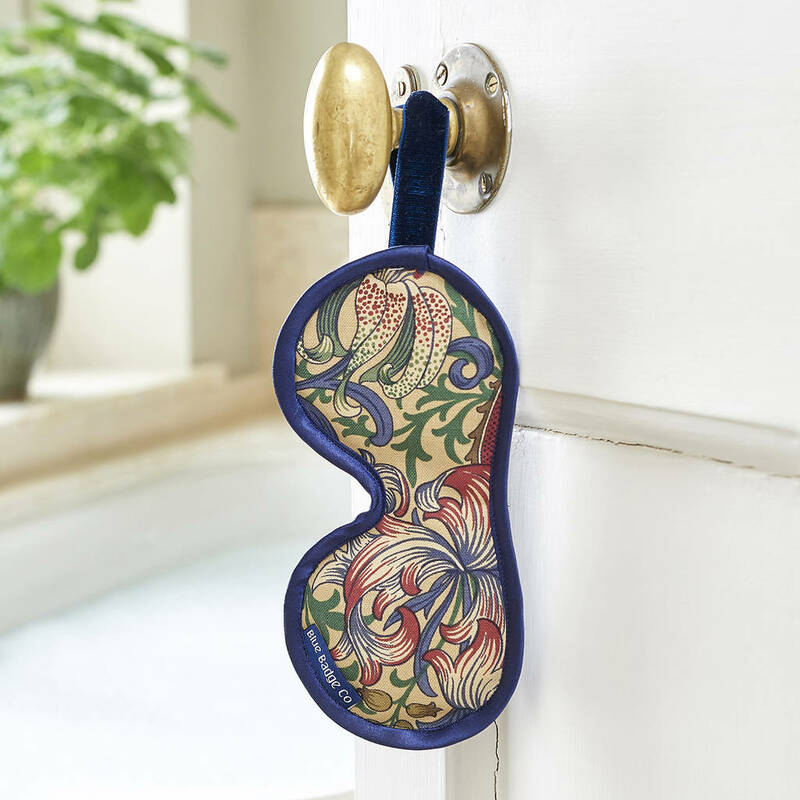 Our collection of comfortable and relaxing wheat filled eye masks are the perfect travel companion. 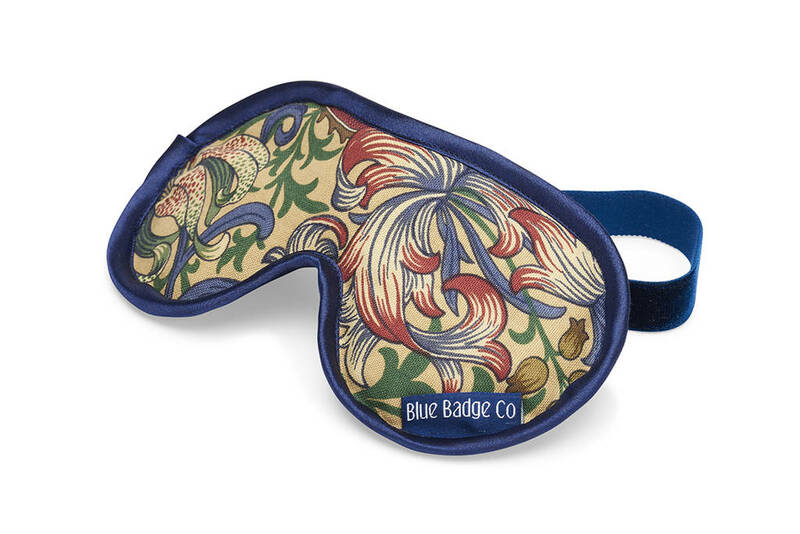 Relax with a soothing wheat filled William Morris Marigold Indigo lavender eye mask. Filled with natural wheat and lavender grains in a contemporary and stylish design. Handmade with satin trim, velvet elastic headband and luxury velvet lining, soft to the touch for added comfort. The mask can be cooled in the freezer to relieve the pain of tired or dry eyes. Block out the light and enhance your sleeping experience with the soothing scent of lavender, or just rest your eyes for a while. 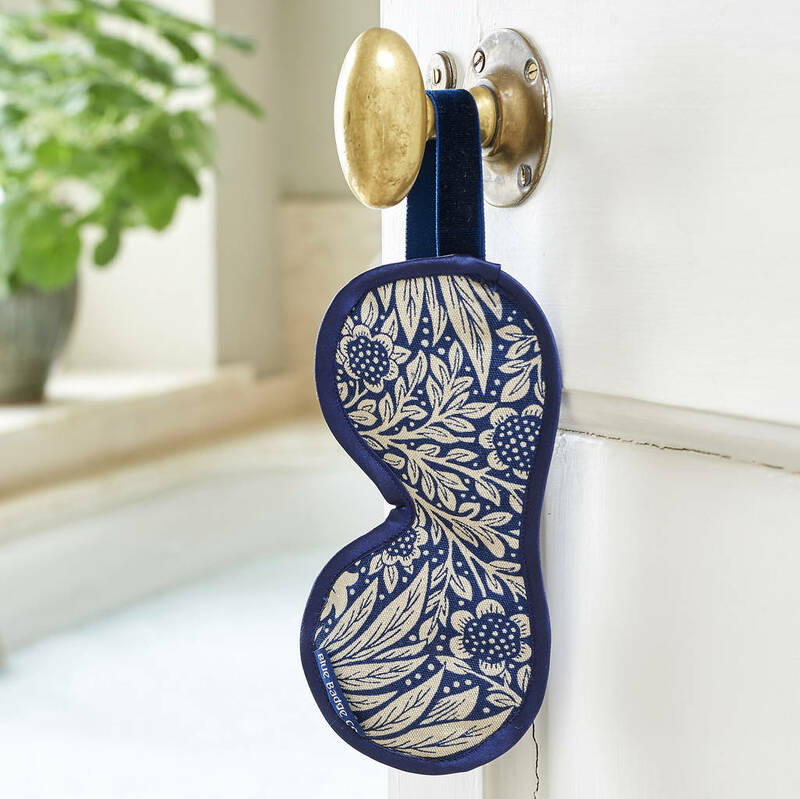 Our collection of comfortable and relaxing wheat filled eye masks are the perfect travel companion. 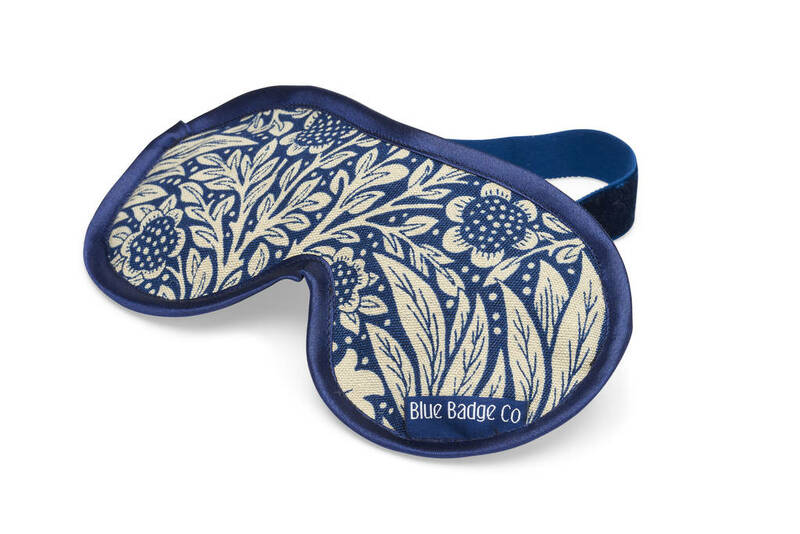 Available in a variety of fabrics, our Blue Badge Co eye masks are designed and handmade in our Bristol based studio. Our unique, high quality independent lifestyle products are made in the UK. Inspiring and uplifting, our vibrant range of designs and prints bring beauty to the everyday. Committed to employing those with limited work options, over 40% of the Blue Badge Co team is either disabled or a primary care giver. This product is dispatched to you by Blue Badge Co.